Sebastian has some thoughts on the political aspects. 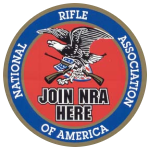 There seems to be a pretty broad consensus among the NRA and NRA members that this bill doesn't hurt gun owners at all. In theory, this bill really has nothing to do with gun owners, only those who want to buy a gun. The NRA's official stance is "this is not gun control". The GOA, on the other hand thinks it is. The Brady Campaign and Carolyn McCarthy think it is. The press is calling it a "gun law". Who is right? Gun control advocates will claim it as a victory, which kinda bugs me, because every time you hear the Brady Campaign (et. al.) say they've done something good, they earn more credibility with the average uninformed American lefty. Oh, and it helps their egos when they can say "It strengthens Brady Background Checks". Hah. I agree that, in theory, this is going to be helpful. In a previous post I mentioned that the "mental health" aspect of gun regulations bother me, because currently there is no way to restore your rights if you are healthy, but have had past problems. So in that respect, I'm happy about this bill. I have a few friends who are mad that they are not allowed to purchase or own firearms, even though they are 100% healthy, law-abiding citizens today. Still, I see two dangers... One being that it is insanely easy to take away someone's guns. For instance, in many places, you don't really get due process to be committed to a mental facility. A doctor often has the power to detain, examine, and decide your fate. Granted, there is usually a judge involved, but they will likely side with the doctor. I've commented on the Baker Act before, and I see a bill like this making it even more powerful. I know there has been some discussion about whether this bill defines precisely what would or would not take away a person's rights to firearms. I'm not really sure, but I really don't think it does. The second danger is that it may never be easy to get your name out of NICS. There has to be a process, yes, but it can be hugely expensive, difficult and convoluted. There has to be an appeals process, but that would require a judge to set precedent, since clearly there are none directly related to a past mental patient recovering their right to own a firearm. If you get the wrong judge on appeal, it could seriously screw things up for everyone else. These are just some concerns that I have had. The law shouldn't affect me one way or another (unless concern #1 comes to fruition and someone decides to screw with me.) But regardless, just because the NRA calls it a Good Thing(tm), I'm not going to automatically buy it. In fact, I'm more likely to automatically dislike something the Brady Campaign endorses. Regardless, like most laws, it isn't just the text that matters, but the implementation. For that, we'll have to wait and see. Good points. I still feel we didn't get as much out of this as we should have if Congress and the Brady's were actually in a mood to be reasonable. < "Living in a Red State is Fun!"